The final meeting of the 3 year Joint Action on Rare Diseases, RD-Action took place in Paris on 28 June 2018. 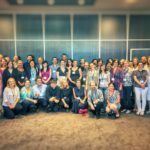 Funded by the EU’s 3rd Health Programme, this Joint Action brought together 40 countries to support the development and sustainability of the Orphanet database, and conduct political actions at the European level, in particular regarding the codification of rare diseases in health information systems. 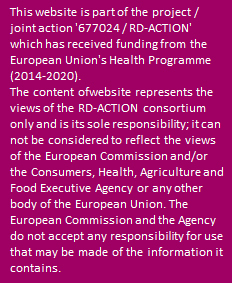 RD-Action also had the role of ensuring the communication between the Member States and the European Commission by coordinating priority actions, such as the elaboration and implementation of European Reference Networks (ERNs). This Joint Action was unique in its kind, as it for the first time integrated data and policy support in the field of rare diseases. The focus of the final meeting of this Joint Action was to present RD-Action’s achievements, and its legacy for the implementation of rare disease policy at the national and European levels. The final session took the form of a round table, focused on shaping the future of rare disease policies. Read full article on Orphanews.